The space near your door needs to things: hooks for coats, and a shelf for sundries. You walk in, chances are you’re carrying something: keys, books, gloves, scarves, change, wallet, tasty beverage. You get the idea. 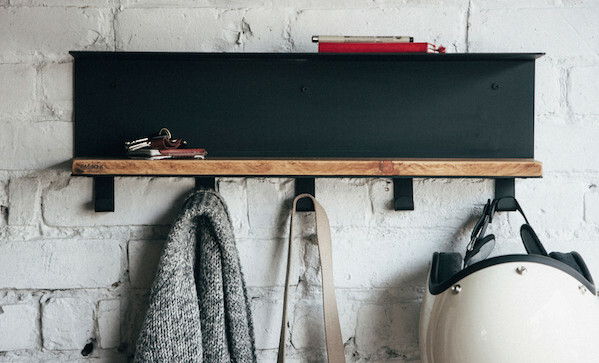 This wall coat rack ($185) is just the ticket. It’s salvaged wood and gunmetal black metal, so it looks great.